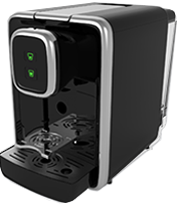 Specialty Coffee at the Push of a Button Provide a gourmet coffee experience, to even the most refined palate, within the comfort of the hotel room. 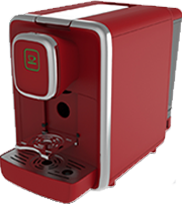 Decorate in Style With the ability to match 250 colors and patterns, including several wood grain finishes, the MiniBarista adds an element of style that complements any room décor. 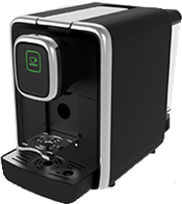 A Perfect Fit The MiniBarista boasts a similar size to a typical coffee brewer but is capable of delivering an exceptional espresso without the bulk of a traditional espresso machine. 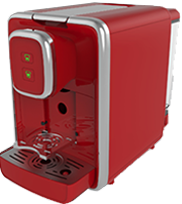 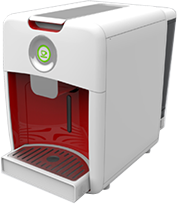 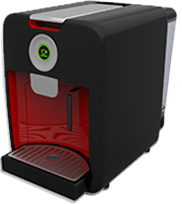 Its sleek design and compact footprint make it a perfect fit in any hotel room. 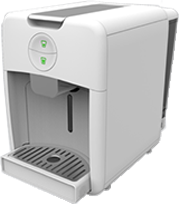 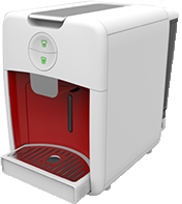 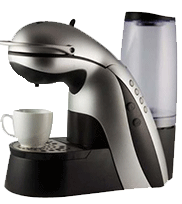 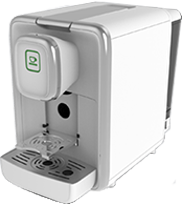 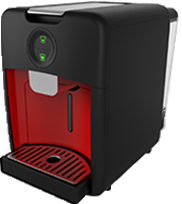 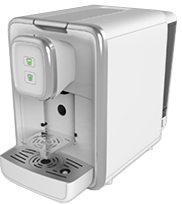 No Messy Clean-Up The MiniBarista eliminates loose grinds, filters, and glass carafes; and its removable drip tray allows for easy cleaning.